(Gtbank) for deducting N275 from his account. George also threatened MTN and Etisalat too. 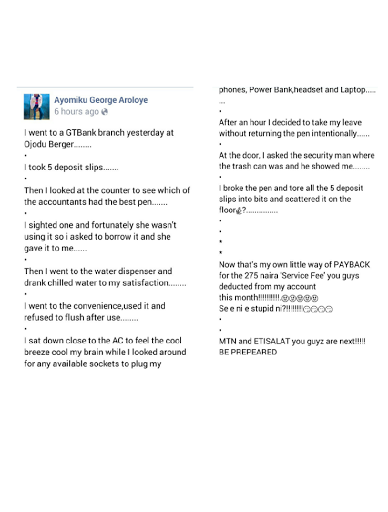 0 Response to "See What This Man Did To Gtbank For Deducting N275 From His Account"